Computer Graphics International (CGI) is one of the oldest annual international conferences on computer graphics in the world. It is organized by the Computer Graphics Society (CGS). Researchers across the whole world are invited to share their experiences and novel achievements in various fields – like computer graphics and human-computer interaction. 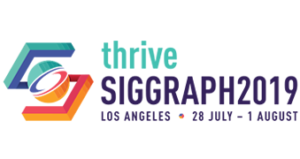 This conference is held in-cooperation with ACM SIGGRAPH and Eurographics.